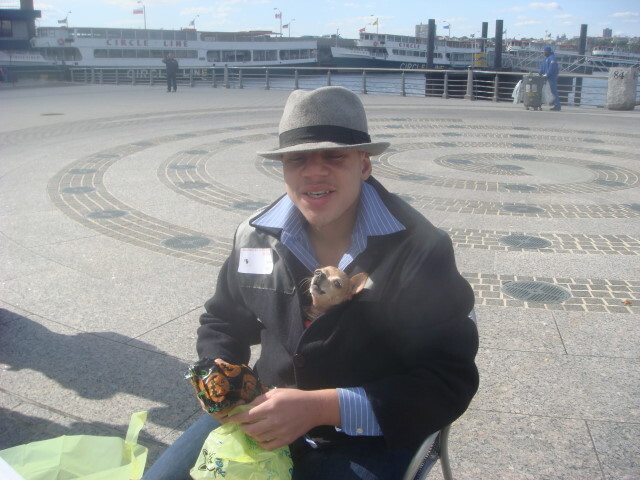 I had never been to the NYC Pet Parade and I decided it was time to go. I saw the announcement and thought that it gave me a chance to enjoy something a little different. You see, I didn’t have high expectations for it as I already understood it isn’t a “parade” in the sense of marching down the street. Instead, it’s much more in the vein of the NYC Easter Parade which is more of a large gathering of people (in that case, with interesting hats). The parade was held on the far west side. 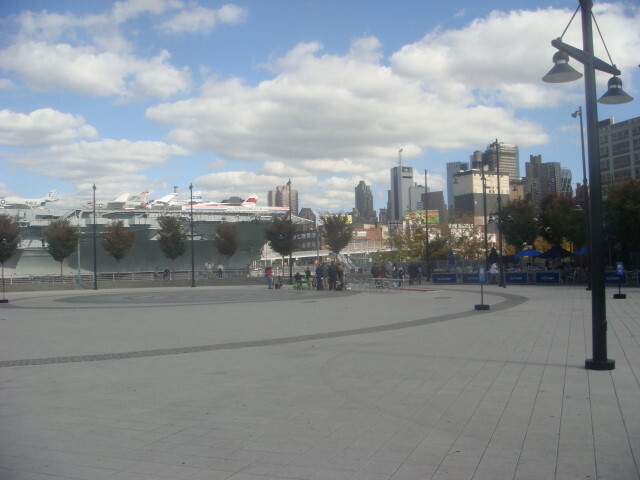 Actually, on Pier 84 right on the Hudson River. That’s at about the 44th Street level which puts it mid-town. The announcement said from 1 to 4pm. I got there a little before 1pm and didn’t see much action. At 1pm, I took the following picture of the gathering. I was way too early, but that’s part of my nature. The parade is for all pets. Got a tarantula? A ferret? Snake? All supposedly welcome. The only pets I ever saw were dogs, though. It was cool (high 40s with some wind) and I doubt the snakes and tarantulas would have enjoyed it. Nor the cats, I imagine. The next dog also wasn’t too happy. 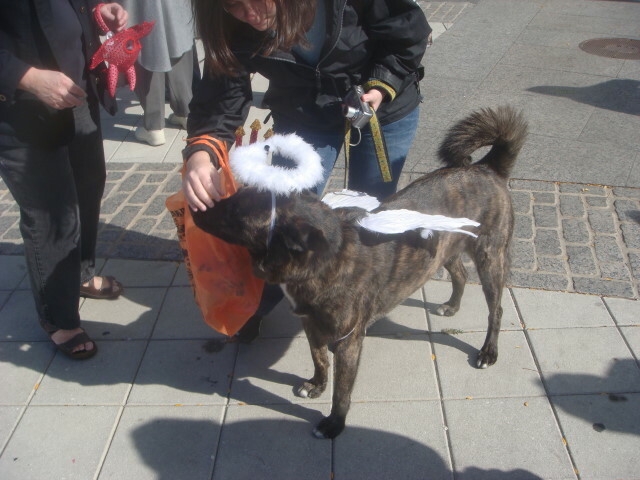 The owners would put the halo on him/her for pictures, but the dog would shake it off as quickly as he/she could. Hey, I would too. The next dog was pretty popular. Pirate dog! Arghh! NYC is a land of small dogs. Little ‘uns that don’t need too much picking up after (yeah, they enforce that). It also is a land where the owners love, just love, to dress up their dogs. This little happy gathering included one I never would have expected, a lobster-dog. 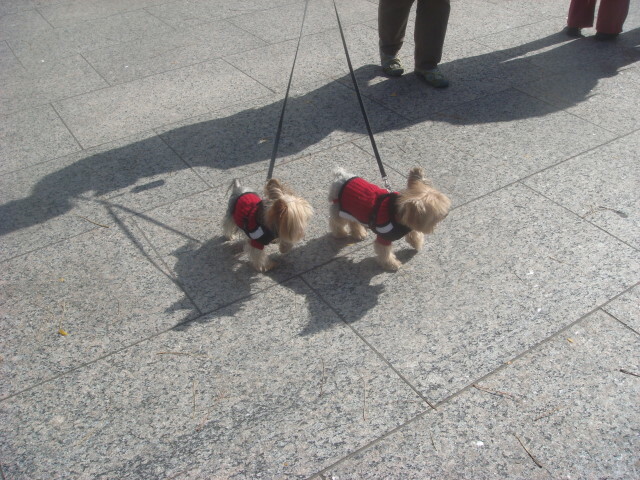 Two of the others were pretty conventional sweater/collared dogs. 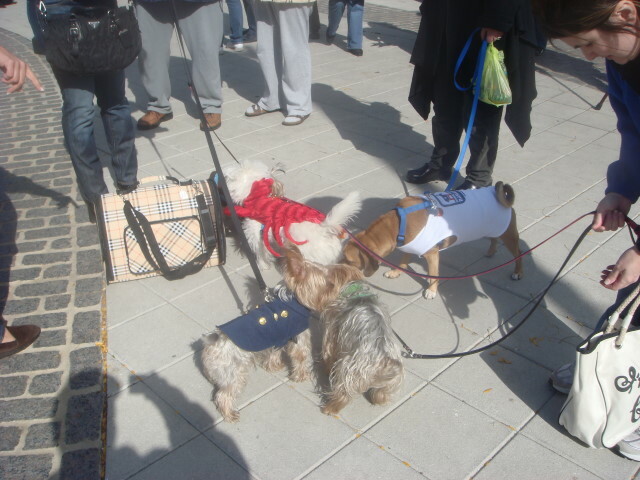 The dog in the t-shirt is one I knew would be there: Obama t-shirt dog. It’s NYC, a political dog is par for the course. I’m sure he’s old enough to vote…at least in dog years. I couldn’t resist this next picture. I like small dogs (and large ones, too), but the next picture shows what I consider as “fake bravery dog”. Look at the guy’s jacket and you can see a second head. That little dog never stopped barking it seemed. As I was leaving, I ran into a few later-arrivers (it was still early, though). Just a couple of more small dogs here. And then there was this last one. In terms of parade-quality, this one was top-notch. 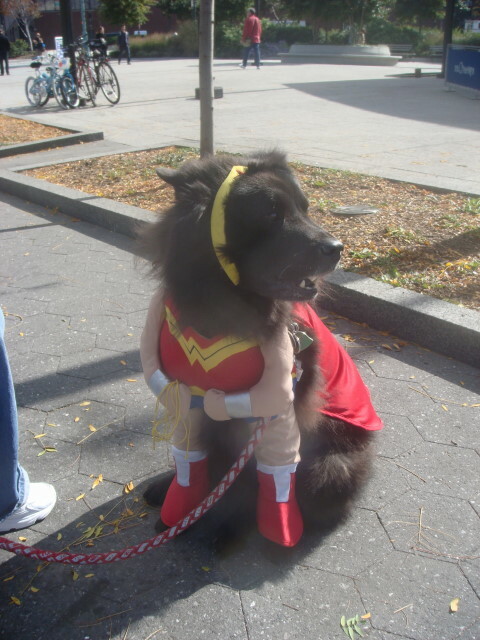 Yes, it’s dog in a Wonder Woman outfit. The effect was very interesting to see the dog with fake arms and all. But that wasn’t even the most interesting part of that dog. Look closely and you’ll see it’s a Chow. This wasn’t a particularly happy Chow, either. Chows are fighting dogs and this was an unhappy fighting dog. The owner had just strapped on the outfit and maybe the dog was just out of sorts about it and didn’t want the other dogs to see her like that. She didn’t snap at me or anything, but I got one of those feelings of “just a little bit closer so I can taste those famous ankles!” A bit of an exaggeration. The dog looked great and the owner was friendly. I just had the impression of an unhappy dog. I left after less than an hour. The parade was probably just starting to get cranked up. I hope hundreds more showed up. This entry was posted on October 18, 2008 at 8:51 pm and is filed under Uncategorized. You can subscribe via RSS 2.0 feed to this post's comments. You can comment below, or link to this permanent URL from your own site. Thanks for the dog parade pics. Next year you’ll have to show up 2 hours later to see all the participants and costumes. 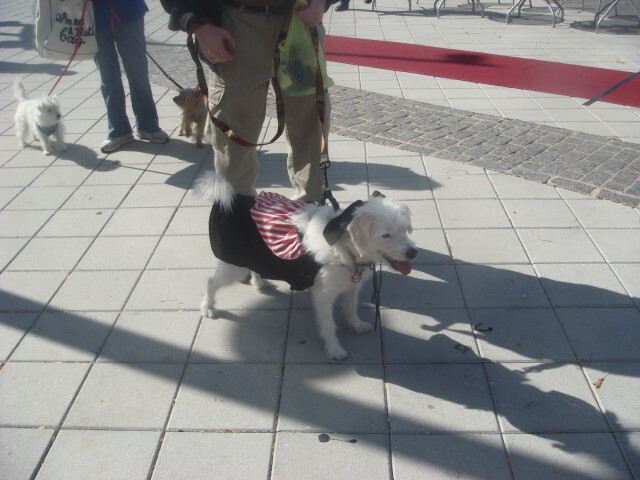 Tallahassee has a Dog-o-Ween event every October and a couple hundred decorated dogs and their owners vie for assorted awards and prizes. It can get very funny and quite amazing with all the creativity. I wasn’t aware of the ban on ferrets, but a check does reveal that they’ve been banned since 1999. Wow.